Home / gamecaster / twitchcon / xsplit / Strexm now joins XSplit family. Strexm now joins XSplit family. 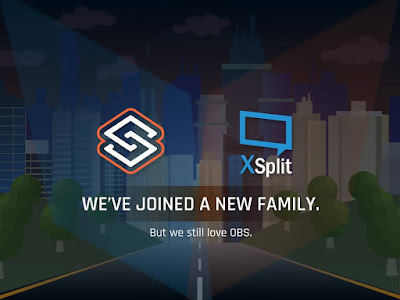 SplitmediaLabs, the makers of industry-leading internet broadcast and live streaming software XSplit Gamecaster and XSplit Broadcaster, today announced the acquisition of popular live stream overlay management tool Strexm. With over 150k users, Strexm.tv is the premier cloud hosted overlay editor for the game live streaming market. Strexm plans to unveil their version 2.0 overlay editor at TwitchCon 2016 in San Diego. Version 2.0 of Strexm has been rebuilt from the ground up to provide the most efficient, dynamic and flexible overlay editor available to content creators. The acquisition is part of SplitmediaLabs’ $10 million investment strategy to create a connected platform that provides content creators and players with flexible tools that help them to create the best broadcasts, events, tournaments and communities. Previously, SplitmediaLabs announced the acquisition of both Player.me and Challonge, which combined with XSplit and Strexm can count over 8 million registered users, 2 million unique monthly visitors, and 90,000+ tournaments created each month. Stream Overlay Pro, a stream overlay tool currently in development that enables tournament organizers to create and manage professional stream overlays. The new Strexm v2.0, debuting at TwitchCon, will be a complete overhaul of the popular overlay management tool. With Strexm v2.0, you can level up your live stream by using Strexm’s beautiful and intuitive drag and drop overlay editor. You can now create a stunning overlay design without the need for photoshop or graphic design skills and easily import it into XSplit or OBS. Strexm are also adding over 150 customisable overlays to their service, which are tailored around the latest titles, including Overwatch, Doom, League of Legends and more. They will now allow additional custom widgets and alerts. Broadcasters can also easily add overlay-designed polls, goals, labels, timers and more to their broadcast and create new opportunities for interactivity with their viewers. Whilst previously only supporting Twitch, Strexm will also offer support for Hitbox & YouTube Gaming, with support for Beam and other services coming soon after. XSplit and Strexm logos can be found here. A new trailer showing off Strexm v2.0 can also be found here.